The United States has in recent weeks not only cut off its financial aid to the Palestinian Authority, it has threatened banks that do business with the PA that they will be sanctioned if they transfer money to the Authority, the PA’s Minister for Civil Affairs told French news outlets Sunday night. Yisrael Hayom quoted Hussein al-Sheikh as saying that it was part of Washington’s efforts to pressure the PA to agree to negotiate with Israel on the basis of President Donald Trump’s “deal of the century.” A report on Fox News Monday said that the deal was ready for presentation, but that it would not be announced publicly before the April elections in Israel. Al-Sheikh said that the halting of financial aid by the U.S., a move announced at the beginning of February, would likely badly hurt the PA’s economy, especially when combined with the planned Israeli deduction of transfer payments to the PA in line with the amount the Authority pays out to terrorists and their families. “The American decision comes together with the Israeli decision to deduct money collected in taxes that are supposed to be transferred to the PA,” he said. “These funds amount to 70 percent of the PA’s budget, including salaries paid to employees,” he added. Now, the U.S. was also placing pressure on the PA from a third source of funding – transfer payments from other governments. In recent days, a $10 million transfer payment that had been scheduled to be delivered from an Iraqi bank was held up, after U.S. Treasury Department officials threatened to slap sanctions on the bank for doing business with terrorists. The money had been collected by the Arab League on behalf of the PA. No Iraqi bank is prepared to transfer the money, he said. 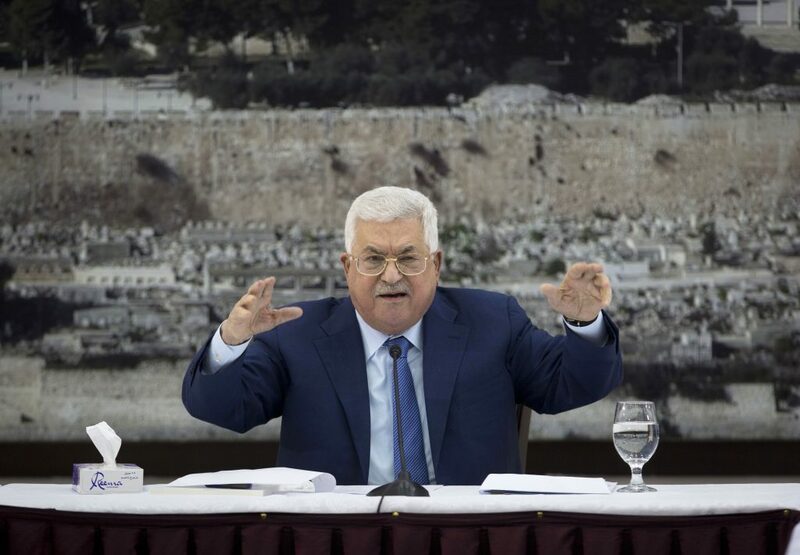 Al-Sheikh said that PA chief Mahmoud Abbas had delivered a message to Prime Minister Binyamin Netanyahu: If Israel deducts money from the tax transfer payments, the PA would not accept the money at all. “Washington is behind all this, they want to proclaim that they have succeeded in imposing a peace deal and open the door to normalizing relations between Israel and the Arab countries. They have pushed Abbas into a corner,” and unrest is sure to follow, he added.